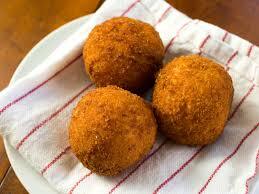 Arancini are stuffed rice balls which are coated with bread crumbs and then deep fried. The most common filling are: “al ragù” or “al sugo”, filled with ragù (meat or mince, low temperature and long time cooked with tomato sauce and spices), mozzarella and/or caciocavallo cheese, and often peas and “al burro” or “‘a bburro” filled with ham and mozzarella or besciamella. A number of regional variants exist which differ in fillings and shape. The name, which is translated as “little orange”, derives from their shape and colour which, after cooking, is reminiscent of an orange. 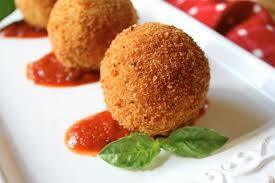 ‘Arancini al ragù’ produced in eastern Sicily have a conical shape representing the volcano Etna. 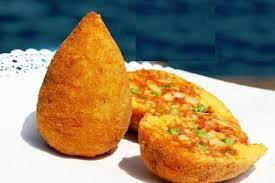 Arancini are said to have originated in 10th-century Sicily at a time when the island was under Arab rule. In the cities of Palermo, Siracusa, and Trapani in Sicily, arancini are a traditional food for the feast of Santa Lucia on 13 December when bread and pasta are not eaten. 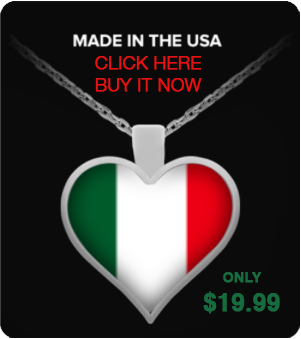 This commemorates arrival of a grain supply ship on Santa Lucia’s day in 1646, relieving a severe famine. Today, with the increasing popularity of this finger food in modern Italian food culture, arancini are found all year round at most Sicilian food outlets, particularly in Palermo, Messina and Catania. The dish was traditionally created to provide a full meal to Federico II di Svevia during his hunting activities. 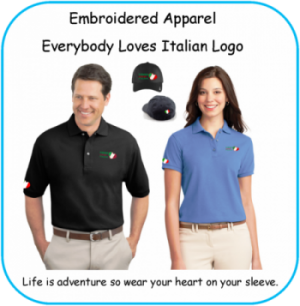 The most common type of arancini sold in Sicilian cafés are arancini al ragù, which typically consist of meat in a tomato sauce, rice, and mozzarella or other cheese. 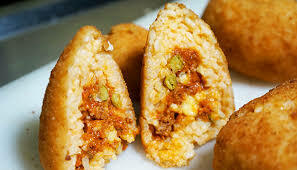 Many cafés also offer arancini al burro (with butter or béchamel sauce) or specialty arancini, such as arancini con funghi (mushrooms), con pistacchi (pistachios), or con melanzane (aubergine). In Roman cuisine, supplì are similar but are commonly filled with cheese (different preparation methods and filling distribution). 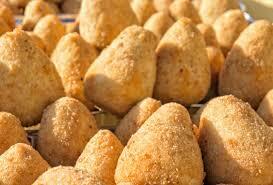 In Naples, rice balls are called pall’e riso. In a variant recipe originating among the Italian diaspora in Southeast Texas, the arancini are stuffed with a chili-seasoned filling.